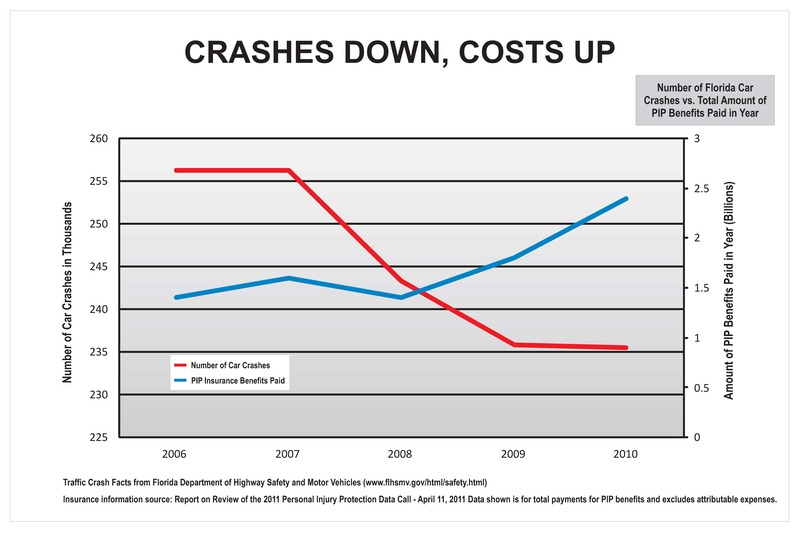 From 2006 to 2010, the number of Personal Injury Protection (PIP) claims opened or recorded increased 28 percent. From 2006 to 2010, payment on these claims increased 66 percent. For the same period, PIP litigation increased 387 percent. Florida is above the national average in the amount of provider charges per claim – Florida charges being $12,000 versus a national average of $8,000. Florida is above the national average in the number of procedures per claim – 100 procedures per claim in Florida and approximately 50 procedures per claim nationally. Pure premium increases for PIP of 29 percent in 2012 based on current trends. 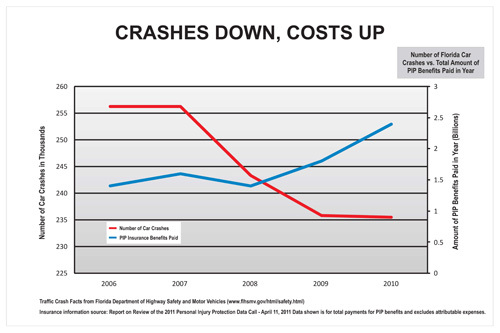 Florida leads the nation in staged crashes and questionable claims.